On Wednesday some previously unseen films were shown to the members of Mercury Movie Makers. had been formed into entertainment. Although based on a party game the film "Charades" gave some challenges to its editor,the material being much longer than the finished film. However the facial expressions of the contestants and the reactions of the audience were excellent. Much amusement was experienced in the making of this item but it stands on its own merit and can be watched by people quite unfamiliar with the participants. The next film was called "Best Laid Plans"and told the story of the courtship of a middle aged man .His intended is not shown for a long time but we hear his mother and fathers concern that he has found a "suitable match". The surprise revelation at the end makes this a film to watch. Another film was called "Could it be True" in this instance a panel of four people discuss some unlikely event in their life.The other panelists have to decide if the story is true or false.For this film to be made we had a wealth of camera men so editing was tricky but a very creditable film ensued. Mercury have now completed the 2013 programme apart from a celebratory meal at another venue. 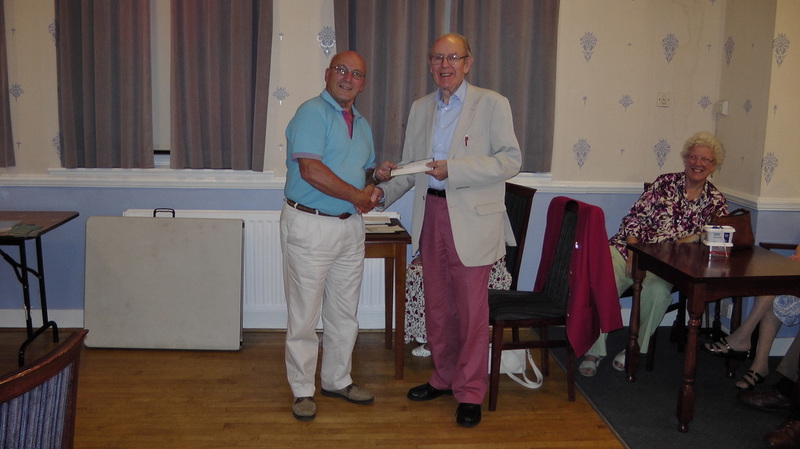 Bob Rowley and Peter Russell entertained the club with some intriguing quizzes. This was followed by a script reading performed by members who all took parts in the form of a radio play. The sound was recorded for future hearing in the club. Mercury Movie Makers visited Sheffield Movie makers for a challenge match. Sheffield won the toss and went in to bat first. A Documentary film "What's in your garden" showed the nocturnal activity of wild life in the garden with a night vision camera showing a badger, mouse, fox and the local cat. Most scenes were monochrome but after installing lighting and a few daytime shots the pictures became clearer and coloured. This was followed by Mercury "Metal Man" filmed by Roy Vickers. The Holidays section featured a visit to Portmeirion which was well filmed and an excellent narration. This was followed by "The Lake and the Cat", a visit to Lake Maggiore and district and featured a power boat race. Finally in the open section, "The Wild side of Munich" featured a visit to the Zoo in Munich. A fiction drama from Mercury called "The Note" was submitted. The documentary was awarded to Mercury with "Metal Man", The Holiday film was awarded to Sheffield and the Open section to Mercury. The competition was judged by Andrew Cockerell from Bradford. Last Wednesday was Ladies evening at Mercury Movie Makers.At theRawdon based club members partners were invited and attended this event. Jean Vickers had organised a quiz which created much thought and amusement. This was followed by a film show of club productions through the year. A film called "The Note" was shown which involved a rare ten shilling note and antiques road show situation. The race was a comedy about a model racing car and two ramblers getting mixed up with a farmer an resulting in a "Benny Hill" style chase. A film about the preparations for a wedding had a surprising and provocative result. Refreshments were catered for by Mabel Mackman with her usual expertise and it then became a social evening. Winners Roy & Jean Vickers with their film "Hollins Hill Farm" Runner up Martin Sunderland with "The Lake and the Cat". On Wednesday, Mercury Movie makers had one of their annual competitions. The Gledhill Trophy. Named after one of our past members it is for films on any subject, also it should not have been shown previously. There were a total of eleven films covering a celebration on a preserved railway then a visit to a sombre place in France that had been scared by the War. There was a film celebrating electronic gadgets and another travel film of a holiday in the Scilly Isles. A brisk walk up Ingleborough was followed by a very novel descent. The Mediterranean area featured in the next film and this wasfollowed by a documentary on a local farm. "Through the Seasons"showed an area at various times of the year whilst the next film showed Palaces of Tsarist Russia and magnificent buildings. A visit to the Italian Lakes brought some unexpected marine activities. Temple Newsam ably showed itself and surroundings at different times of the year. We welcomed as our judge for the evening Mike Breeze of Burnley Film Makers,Mike is no stranger to Mercury and he made copious notes about each film submitted. In his summing up he gave helpful hints or suggestions to the film makers.He also stressed these were his personal opinions. 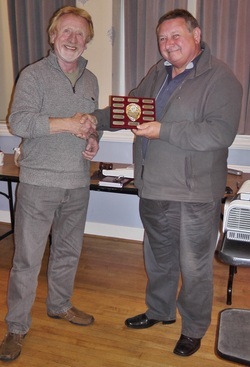 He chose "Hollins Hill Farm" by Roy and Jean Vickers as best film of the competition and awarded Runner Up place to "The Lake and the Cat" by Martin Sunderland. The quality of all entries was very high, it is amazing how the standard has increased over the years, surely a credit to the editing skills of our members. A meeting of minds (and clubs) happened at Rawdon when Mercury Movie Makers invited Aireborough Camera Club to give us a demonstration of their work. Tony. The AV selections were self explanatory and accompanied by well chosen music.Tony also explained some of the techniques and told us the meanings of some abbreviations. After refreshments Mercury screened a selection of their videos (films). There was sufficient variety to show the scope of our work. It was a rewarding evening for the capacity audience,also a friendly interchange of information took place. 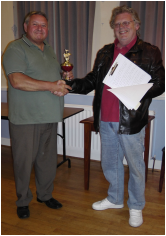 Barry North of Aireborough gave a vote of thanks. 9th October - "How to do it"
and tripods put into use. To provide a subject for filming Bob Rowley was given the task of organising the audience into a photogenic and active entity whilst the cameramen took videos from various angles. The images will be knocked into shape (edited) at a later date. Practical evenings like this get us more familiar with our cameras and we have to make sure that focus and sound are just right. Most people use earphones plugged into the camera so that quality of sound can be judged.Cameras have to be set to allow for the type of lighting etc. A format that is gaining popularity at Mercury Movies is making a film based on a number of articles(picked at random). These we class as Objects Films. The latest crop of these were shown on Wednesday with some older examples alongside for comparison. The verdict---The new breed is even more ingenious than some of the examples from the past. This shows that we are learning. and priceless example.The forger however is thwarted. Another film entitled "It's Not Cricket"attempts to explain the labyrinthine rules of cricket to a group of house wives who are not interested. "The Race" is another film that shows fast model racing cars whilst the soundtrack describes fast Formula 1 type cars the whole thing ending in a Benny Hill like chase around a large field. "The Legacy" and "Raleigh's Legacy" were two very different films. The evening proved that if you feel you would like your videos to appeal to wider audience and be able to impress your friends then Mercury Movie makers is the place to come. 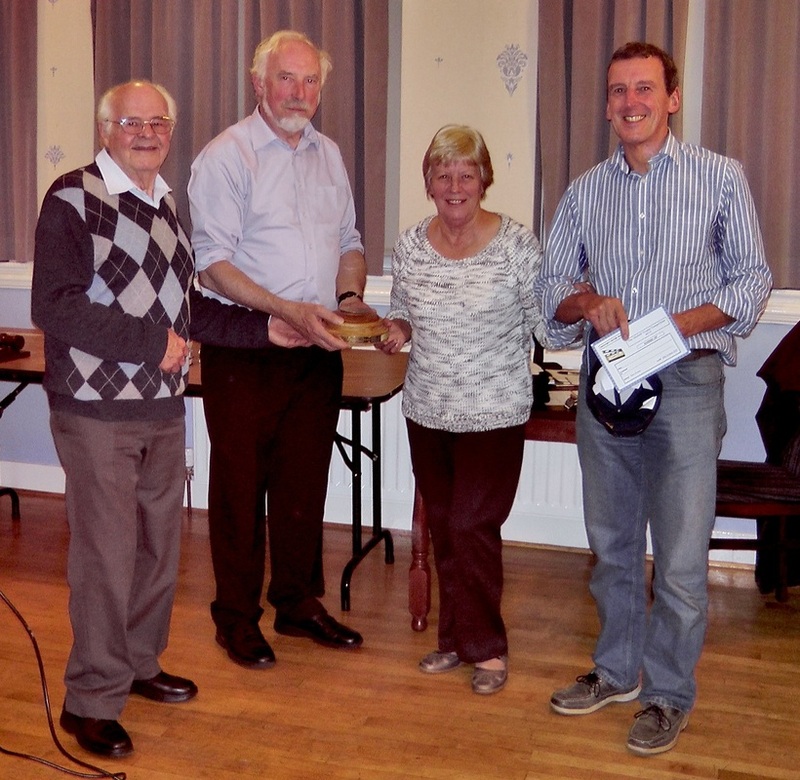 President's Night at Mercury Movie Makers was on the agenda on Wednesday evening. something different and we were not disappointed. Subjects included an unusual source of food,,a motor cycle rally accompanied by a road safety campaign. The Film "Confessions"started with a soul baring litany of wrongdoing but it was no more serious than a lifetime addiction to steam railways and model railways. The underground CERN project in Switzerland was covered by "Hadron Collider" which revealed some of the secrets of this involved subject. Three brief comedies next appeared with "Lost" "Mi Cat" and "Mi Dog" as titles. A once popular record was brought to life by actors, then we were treated to two music hall dames in a cross talk sequence. A memory of ARP and air raid wardens was brought to life on a stage. 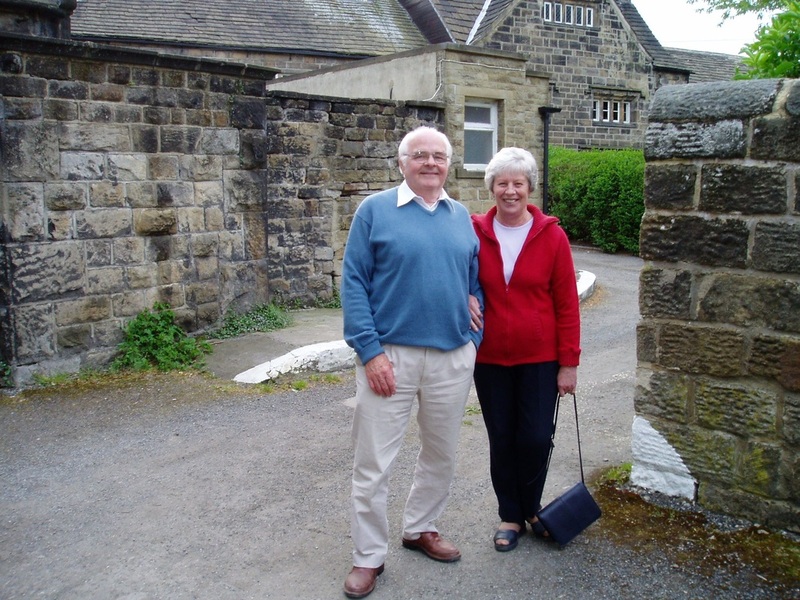 Then a poignant reminder of our old Esholt cinema was brought back to life in a 2007 video. There were other films including "Twilight" as well. The laughter was pretty constant and everyone was entertained by this programme featuring Peter and his wife Susan mostly but with the appearance of film making friends. vote of thanks. Come along and see what makes this friendly club tick,the number of recent new members shows that we have the right sort of syllabus. shown to the club. We were shown two local stately homes, first of all East Riddlesden Hall the well known dwelling near Keighley. this building was available to one of our members and revealed many interesting facts. the historic Beck Foot Bridge in Bingley . Another film brought us into the twenty first century with the fairly recent floods at Shipley. Worth Valley Railway and then Woodlesford. one with the best attendance. The very framework of our club is its syllabus,a good one is what brings the audiences (Members) along. So Bob Rudd did well with his own suggestions and a rich variety of views from the membership, the other evening. Hopefully then we can look forward to more great evenings where we find out about this great hobby and learn how to produce entertaining films. On Wednesday evening at Mercury Movie Makers it was the culmination of our "Out and About" competition. was ready and waiting. We started of with "Wet,Wet,Wet"a film about summer holidays in Britain and yet unlike the title proclaims our film maker had found some sunny weather and captivating views "A Good Day Out" showed the canal festival in Skipton,North Yorkshire with plenty of action and interesting craft. "Methley Scarecrow Festival" was exactly that,some very imaginative scarecrows in all sorts of amusing situations. "Linton Camp Treasure Dig" held much promise,but the intrepid diggers armed with metal detectors dug in several half remembered sites recalled from their past boyhood but found very little.Nonetheless,entertaining. "Paws for Thought" showed a nearby facility which taxed both dog owner and dog to proceed through an obstacle course with tubular tunnels and ramps to scale.It was obvious that the owners ,as well,got a lot of exercise. "Hidden Gems of Leeds" found little known areas of Leeds and showed their interesting features. There was a film about hidden or less publicised features in York. Turning to the Lake District we were taken on narrow roads to the settlement of Watendlath. Finally the Big Wheel in the city of Leeds provided an aerial view of some landmark buildings. of the "Out and About" competition was "Paws for Thought " by Roy and Jean Vickers and runner up was "Good Day Out" by Alan Vanston. On Wednesday we got down to some theory as we explored the art of taking moving pictures at Mercury Movie Makers. Bob Rudd had prepared some visual aids and some videos to show us the subject which can be refined down to the "Five C's". To explain we have Camera Angle, then Continuity. Another C is Cutting then Close up and finally Composition. particular example he was talking about. the grammar of film (video) . One of our new members ,who is a very good film maker was persuaded to put on a show for us the other Wednesday. So it was that Alan Vanston entertained us with a selection of films on many subjects. and various other exhibits .This is claimed to be Britain's largest one day show. training of the Local Defence Volunteers soon to be renamed as the Home Guard. Alan had added realistic sound effects to this splendid record. "It is all in the Past" was very apposite as it recalled the war in the air and the bombing of the Ruhr industries during the nineteen forties. It showed Lancaster bombers and was very poignant as Alan's relative was personally involved. Lightening the mood was "Paris", wonderful scenery with fine French music. "Puy de Fou"is a leisure complex in France with some outstanding attractions and spectacles.There are naval battles and Chariot racing to thrill the crowds. "Diggerland" featured JCB diggers (to be driven by children! )Whilst "93 Camp" showed remains of a wartime Prisoner of War camp. "A Still Night" showed how some gardens are home to wild animals,badgers,foxes and the like.Some good images here. take the first step and see what is going on at Mercury Movie Makers. did their best to answer technical questions. Quite a bit was learned from this exercise and several members went home with their questions answered. information on most club nights. The other Wednesday we welcomed another new member at the club, (we must be doing something right). Another programme of members films provided an eclectic bill of fare for the evening. clutching a loaf of bread. "By the Riverside" portrayed a Mercury barbeque from some years ago. "Going Greek" showed an island paradise off the Greek coast. and agricultural machinery. Scenes from The Lion King were enacted by suitably dressed humans in a colourful episode. We next saw a flotilla of steamed powered Edwardian vessels on Lake Windermere. A member dressed as an old rustic performed an amusing monologue on a stage as a resident of Hertfordshire. "Going Underground" showed caves and tunnels carved out of rock in an area of France. This made remarkable storage for wine . A selection from one of our Mercury Film Festival compilations showed Badgers in the wild, a comedy song and the historic 40th anniversary of Mercury Movies. films that their friends want to watch to come along to Rawdon and see us at work. to make club films ,Wednesday evening was an instance of how this sometimes happens. Mercury Movie Makers had three guests from Bradford Movie Makers, Alan Vanson, Ken Lightowler and John Wheeler. Script night involved two teams who were given the task of producing a film script each. The teams were selected by Team Leaders, Roy Vickers and Peter Hartingdon. Each member of the team drew a word from a hat which had to be included somewhere in the script. The words were random words for example "Danger", "Spoons", "Spanish" or "Discuss". By building on these "bare bones" it should now possible for each team to make a film for showing at a later date. Our guests from Bradford entered into the spirit of the evening and took part in the activities. On Wednesday there was a showing of members films notable for covering a wide variety of themes. almost led to his demise but some first aid revived him. "Ice" showed the cool waters off the coast of Argentina which had melting glaciers and dramatic ice floes in the sea. "Skiing" showed this winter sport in a bright and breezy way. boxed ready for transport before the move to Rawdon. "Messing About on the River" showed a variety of craft to illustrate the well known song. of the worlds most popular musicians. where dozens of holiday makers coated themselves in health promoting mud. Next to the Great Lakes in North America with special reference to how the Lakes were sometimes connected by canals and locks. Back to England a look at recent floods in Bingley from the point of view of John Orrell. A short yet informative film from Maurice Wray showed a day at Wetherby Races. Two offerings from Roy and Jean Vickers showed a tractor rally and steam fair which took place at Masham and gave back ground knowledge of the exhibits. Their second film showed streams, torrents and downpours as the soundtrack played, "The Day the Rains Came Down". "Home Front" by Maurice showed how the Second World War affected this country with rationing, evacuees,the carrying of gas masks etc. Also how we were encouraged to dig our allotments and erect Anderson shelters. "Married Bliss" showed how one comical couple celebrated their wedding anniversary..A recent Fish supper on a steam railway was filmed by member Peter Hartingdon. The final film also involved Peter and some colleagues as we were shown a 200 mile test run for the famous Jowett range of motor cars. Westlake films visited Mercury Movie Makers. image. From time to time a member is given the task of dipping into this collection and choosing a programme. On Wednesday it was the turn of Dudley Wilcock to assemble a show from the diverse material. misunderstanding by a blundering neighbour the husband refrains from the drastic act. A splendid fly fishing film,"River of Dreams" featured an eloquent and well to do fisherman who explained the finer points of the art. manufacture at Pateley Bridge,a view of Wetherby,a tiny hamlet near to Keighley.There was a film which asked a question,"Can machines be made to perform graceful gyrations and smooth glides like ballet dancers? "The answer was yes as we saw a craftily edited film of actions at a container base synchronised to "The Blue Danube" music. It is that time of year when Mercury Movies have three competitions on one night.Members had been busy making films and we had invited Mr Dave Morton from the Leeds club to be our judge. First on the screen were entries for the One Minute Film competition ,an eclectic collection including titles such as "People's Princess","Home Work","My Cat" and "Snuggles".These were shown and Dave made his comprehensive notes before chairman RoyVickers moved on to the "Five Minute Film" competition which included "Linton Falls",a film about the origin of Marks and Spencers,a matrimonial film and so on. One Minute winner "Home Work" by Peter Hartingdon, Runner-up Film was "Snuggles". Winner of the Five Minute Film competition was "Married Bliss" by Bob Rowley and Runner-up was "Marks and Spencers". Winner of the Film to Music was "Na Na Na" by Peter Hartingdon, Runner-up film being "Fairy Tale Castle". 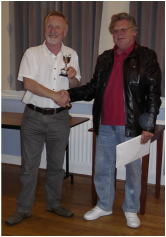 Awards were made to the winners and thanks were expressed to Dave Morton who had done a difficult job very well. 5th June - So you want to be a Judge! The proposition was to see a series of films from another club and as an audience judge them. 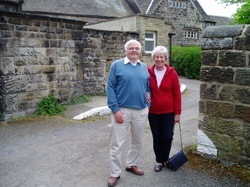 They had already been judged by our members Roy and Jean Vickers at another venue. So we watched a selection of films from Burnley covering subjects like, Pateley Bridge,and then "Motor Home Diary". Following were films about Scandinavia and a journey by holiday makers through the area.Another film followed about Norwegian Seafarers including the famous Thor Heyerdahl and his craft the Kon-Tiki. A film on conservation showed a Swedish naval vessel being raised from the sea bed and being restored. "A Hidden Gem" showed a pond in a public park and its quiet beauty. Finally ""Footsteps" highlighted the film making talents of a man who had great talent as an artist in his beloved Lancashire. Eventually the Mercury Club members chose their First and Runner Up films which did not vary very greatly from the official judges choice.This was a good exercise for the members as it is sometimes difficult to obtain a judge for competitions. Another trophy and another competition,that was the prospect that greeted Mercury Movies members on Wednesday evening. Our fellow member Bob Rowley had an inspiration and had provided a brand new award, his competition idea was to take a well known catch phrase and illustrate it with a video. Some entries made the well known phrase very plain whilst others cloaked their sayings in mystery. Some examples follow; a lady knitting interspersed with clock faces turned out to be "A Stitch In Time"
A confused husband becoming more and more out of touch had the phrase "Always expect the unexpected" staring at him. A model railway layout with trucks carrying OXO products it was revealed later was "The Gravy Train". Other phrases revealed to us through images included, "Cider with Rosie", "Snap,Crackle and Pop". Then there was "Pie in the Sky", a reference to lying down and a clever variation on "Cats and Dogs". The evening tested the inventiveness of the competition entrants and in the end the brand new trophy was presented to Peter Hartingdon, this then is the beginning of another contest in the life of Mercury Movie Makers, thanks to all who took part and to Bob Rowley for the idea and the organisation. Last night was "Rushes and Blushes" which was intended for members to bring along finished or unfinished films. A Film by Ian Jackson called "The Menace" was shown starring Bob Rowley and Sue Saville. A very tense drama on a country lane. Bob discussed the making of the film and pointed out continuity errors. Franc Medved then produced a film called "Antiques Roadshow" which was the theme of an evening in Esholt in 2000. Peter Hartingdon then brought an unfinished film, well it only had the opening titles, so it was quite short. Some more work required there!! A film about York Railway Museum prompted some helpful tips about making movies better. Maurice Wray was having some problems with an HD camera and the club helped him with suggestions of getting the frame speed correctly matching up his camera and editor. The film he showed was rather jerky with movement of objects and the camera. Maurice also showed a film about Stockton and life on a farm with the birth of a calf. John Orrell finally showed the first film he ever made which was a visit to Granada Studios in Manchester. Our recent meeting featured films from Roy Vickers extensive library of films. Roy and his wife Jean are accomplished film makers and have been members of Mercury Movie Makers for some years. "Plant Magic" filmed in 1987 described wild flowers on Otley Chevin with their names and uses, these being described by a botanist. "Spoilt for Choice" followed. This was a film about a dairy farmer diversifying by using his surplus milk to make ice cream. "Woodman's Dream" filmed in 1985 showed how a man with a chainsaw can create works of art from a tree trunk, showing the felling right through to the finished article. "As time goes by" filmed in 2006, visited the Yorkshire Film Archives with an interview of Binnie Baker. "Busfield's last run" 1996 showed the process of making and bottling soft drinks, starting with the washing of the returned bottles right through to the labelling of bottles ready to go to the shops. It was their last run as their equipment was outdated and could not take the modern process of "PET" bottling and canning. "Yorkshire Broad Acres" 1996 was a typical Out and About of Yorkshire with excellent commentary by Peter Byrne. "Old Peculiar" and "Wensleydale Cheese" both filmed in 1996 were excellent films promoting the manufacture of beer in Masham and cheese in Hawes. "Bosom Friends" 2012 was taken at Bradford Grammar School where the awareness of breast cancer was demonstrated by ladies giving a fashion show. This sequence was shot for ITV Calendar. A similar film showing the opposition of the proposed building on a Green Field site in Menston where Roy was present during the filming for the One Show on BBC television in 2013. This proved to be another interesting view of the various aspects of filming in Yorkshire. Mercury Movie Makers designated Wednesday evening Transport Night. Members brought films they had made of different types of transport, which proved very interesting. The earliest railway system for commerce was evidently at Middleton in Leeds and we were shown a film with diagrams and commentary which showed it operating and of course film footage. When electric trolley buses were phased out some years ago a group of enthusiasts preserved examples of them at a place called Sandtoft, here they constructed overhead wiring and got them running and they still can be seen. This film gave us a good insight into the centre near Doncaster. Our local railway enterprise covering the Keighley and Worth Valley was shown and is obviously doing a good job. It is not a far cry from trolley buses to electric trams and these were seen at Crich in Derbyshire. A natural subject for this evening was the National Railway Museum at York. "Back on Track" highlighted Sheffield and Manchester both cities which now possess tramway systems. Taking to the water one film showed various marine craft and boats and even the liner Queen Elizabeth 2. We had also a visit to racing motor cycles, then our other local asset, the steam railway at Embsay. "Reach for the Sky" explored all aspects of flying and some crafty computer derived effects. "Bradford Interchange" showed the land clearance, then the construction of this transport facility and then its subsequent modification.The material involved must have been gathered over a very long period. On Wednesday the subject at Mercury Movie Makers was "Member's Films" and a wide variety of subjects was on the evenings"menu". A very first excursion into film making by member David Myers was indeed his first opus which he had recovered from his archives "Linton Weir and Falls",with great temerity he had shown this to the club on his very first visit some years ago. Also shown was a club film made on a practical evening. We were shown in another film where Hannibal had travelled in another century. "A Place of Crocodiles" showed these creatures in the Kruger National Park in South Africa. Then followed a graphic spectacle of accidents whilst skiing on snow covered slopes, hopefully the snow cushioned some of the impacts. A rare species of bird visited Yeadon tarn and was featured on "Mandarin Duck". An insight into the manufacture of custom made shoes by a highly specialist company serving the NHS was shown in "Moulded for Comfort" it showed many of the processes from a special "last" to the completed shoe. "Appleby Horse Fair" showed the lively animals and owners at this annual festive meeting. "Las Vegas" showed us many features of this leisure based city with its spectacular architecture. A film which fitted well into Mercury's "Out and About" category brought the show to an end and we had enjoyed another very entertaining evening. A great deal of thought and effort goes into these films,but the film makers get a great amount of enjoyment also. Quite a treat was in store for Mercury Movies members on Wednesday as our guest was Sylvia Spencer of Wakefield. She is the Chairman of the North East Region of the film club body to which we belong.That is The Film and Video Institute of the IAC. But that apart she is a manifestly entertaining film maker. It would be too much to give the title of every film but here are some which kept the audiences attention. An opening film of what are probably called Dancing Waters where multiple fountains soar and swoop in time to great music. "A Perfect Day" showed some elaborate kites being flown by scores of people and really no two were alike. "Operation Good Time" showed a return to the 1940's with uniformed soldiers and military vehicles. there was contemporary music and the whole day was evidently very well done. "Mighty Men" was a contest along the lines of Worlds Strongest Men. "Early One Morning" had a commentary by a well known Mercury Member who also drove the vintage Fowler Steam Tractor,featured. to a rally at a breathtaking 12 miles per hour! Sylvia likes to experiment and she showed us colourful shapes and images before moving to her well researched film about the Hoover Dam with some striking photography. Her artistic talents also extend to working with molten glass and she was privileged to make her very own glass paper weight at a large Scottish glass works, we saw all the processes. A quick tour of Rome then led us into "What Lies Beneath" a very different point of view of The Deep aquatic facility in Hull. "Not Just a Flower show" took us to Leeds where much more than floral displays are shown. We saw all manner of crafts, painting, embroidery, cooking skills and so on. To round off the evening we were shown communities working together, regeneration and a spoof News Programme. This latter had reporters and studio shots and followed the format of a TV news bulletin and was quite ingenious. So ended a most entertaining evening and left a very happy audience in our Rawdon meeting room. The members of Mercury Movies formed themselves into two teams. We then chose at random 6 objects that have to be included in the film. To ensure variety each of the two teams had exclusive objects, each team being unaware of the other teams' choice. The teams then separated, and agreed the roles within the production, director, actors etc., and spent the remaining time writing a rough script. Filming can take place at any time, any location, as agreed by the participants. The outcome of these efforts will be shown at a later date. This method has been used before and generally leads to a very worthwhile film making exercise. This gets the whole club involved and provides valuable experience in the craft. Wednesday saw the 2nd Show of Annual Competition Films at Mercury Movie Makers. We had seen half the entries the previous week and were encouraged by the good number of entries from our members. 2nd Show films included "Three Days in the Maasi Mara" this film was winner of the Holiday/Travel category. There was another African themed film, followed by a visit to a civil engineering project on a grand scale "Along the Yangtze"
A film with a rhyming commentary showed us what an American Rodeo looks like and got a certificate of merit. "Yellow Submarine" was followed by "Lake Garda" both informative and well photographed . "Whitby Goth Weekend" showed the crowds of extravagantly dressed visitors to Whitby overlooked by the notable abbey ruins. was the winner of the Unclassified section. Last Wednesday Mercury Movie Makers showed the first part of their Annual Competition Films. We started with the Documentary category. "Face-lift for the Locks" described in detail the recent refurbishment of the Bingley five rise locks including the replacement of some of the lock gates. There was a good interview which described the work carried out. This film gained a certificate of merit. "I am sailing" featured the theatre organ of Victoria hall Saltaire playing a medley of nautical tunes with cutaway shots appropriate to the music. "The early shift" described the duties of a railwayman on the Keighley and Worth Valley Railway. This was the runner-up in the competition. "Dalestone Block Paving" showed the restoration of a block paving driveway. "Koi Passion" showed the hobby of breeding and caring for Koi a type of carp fish kept for decorative purposes in outdoor koi ponds. This was followed by "Team Building" and "One man and a dream", the story of the renovation of a water mill and restoring it's original purpose to grind corn into flour. This gained a certificate of merit. Finally "Slating with Yorkshire Greys" described the method of laying stone roofing. This was the winner of the Documentaries. Fiction category followed with "Take a powder" a short film about 2 little girls arguing about anti elephant powder. This was the runner up. "Cissies Useless Husband" was an imitation of the Les Dawson and Roy Barraclough sketch, well acted and convincing. The winner was "Me Dog" a short film about the demise of an old friend. 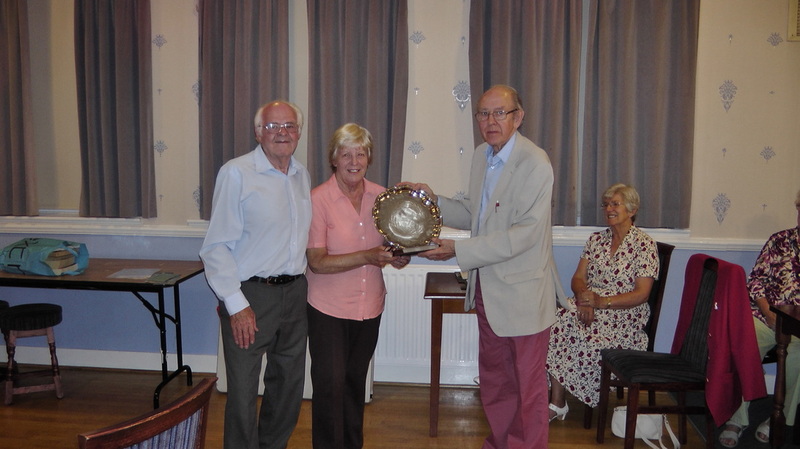 Mercury Movie Makers held their annual Dinner and Prize Presentation at Baildon Golf Club. The event was a great success mainly due to the President who organised and hosted the evening. See the Gallery for details, click here. The other evening we had a film show from the Halifax Cine and Video Club. The first film was "Charlie and Me" a profile of Ernest Jennings and his passion for old silent movies especially Charlie Chaplin. He introduced himself and invited us in to his home cinema called "Chaplins". Here he introduced us to his collection of equipment and his catalogue of films and showed clips from Harold Lloyd's film "Safety Last" and also Charlie Chaplin's "Easy Street". A well produced film. There followed a film "Chaplin's Home Cinema" where Ernest described the building of his cinema, converting a garage at home for the purpose. "The Sweet Life" followed which described the manufacture of boiled sweets in a factory in Elland who made the famous Yorkshire Mixture. Some of these confections were bagged but some were placed in the sweet jars we seldom see in shops. "Wish you were Here" followed which described a holiday in Blackpool. The narration was in the form of a song by the "Fivepenny Piece" and the pictures fitted the words. "Sam's Medal" followed the well known monologue recorded by Stanley Holloway about the tales of Sam Small. A travel film followed about Tuscany taking in Florence, Sienna, Pisa and the countryside of Tuscany. It was well narrated and informative. Finally "Leafy Lytham" described the town of Lytham St. Anne's which is adjacent to Blackpool. The variety and interest created by these films kept the members entertained and perhaps gave us food for thought with our future filming. Last Wednesday we showed the last two films from Morecambe Bay Movie Makers. The first one was about the Kendal Mountain Rescue which described their work in detail. During the interview an alarm sounded and was actually a live call for help which dramatised the film. There followed the actual rescue. The next film was called "Koh Samui" a small island in Thailand. This was beautifully narrated and gave much information about the population and their customs. A film about life at the Beamish Museum with interviews with many of the workers on site who manage facilities. A humorous training film about Cold Glass described the finishing off of glass using various grinding processes. "Outeniqua Choo Tjoe" was filmed in South Africa and describe a train journey. Good shots on board and shots of the train passing various points on the route, well filmed and narrated. After the interval, a fictional film about a jealous wife, her husband and the next door neighbour, an evening meal with all three to celebrate their wedding anniversary with a macabre ending. A holiday film with a difference followed, a young girl dreaming of being rescued and swept off he feet by a Prince. Finally a trio of films from Bradford Movie makers members covered a Jake Thackray song "The Castleford Ladies Magic Circle", a heavily pregnant wife's liking for snails and a young man's fantasy after rescuing a Lady with a broken down car. On Wednesday evening members of Mercury Movie Makers had the opportunity to see what other video clubs are producing in the way of videos. This time we had a "showreel" from Morecambe Bay Movie Makers. This showed was introduced by their president and then showed us the clubs' activities. One of the main themes was a realistic enactment of of D-Day which was played out on the beach by enthusiasts dressed in the correct uniforms and even using the correct military vehicles. Morecambe was well suited to this event due to the sea sand and pebbles and the marine landscape. Surprising was the large number of combatants from either side and there were dozens of explosions and hundreds of blank cartridges fired off. We then had a short instructional film on the casting of molten brass in a workshop. After films on hobbies and music we had a Royal visit to Morecambe where H.M.The Queen unveiled a statue of comedian Eric Morecambe then performed more ceremonies at Lancaster Castle, this was very well documented. Still on a castle theme we were shown the lesser known castle at Kendal and given facts and figures by means of the knowledgeable commentator. A celebration at nearby Carnforth showed both steam and diesel locomotives specially assembled for a huge rally. Obviously a film involving most of their club members was their "Antiques Roadshow" presentation. An interesting and artistic Lakeland potter was shown on another documentary with some fine examples of his craft. A local boxing club film showed how young persons are given a purpose and a hobby by dedicated adults. A study of the effects of ice was shown in "One Degree Centigrade" how it can be both beautiful or destructive. This was altogether a very varied and entertaining programme. On Wednesday the members at Mercury Movie Makers watched an impressive demonstration. One of our members Franc Medved introduced his grandson Elliot who gave us a masterly talk with examples on the screen of the popular "Photoshop" computer programme. He showed some highly complicated moves but explained them in simple terms so that they were easy to understand. He had a remarkable facility and showed us how perform various actions on the screen. It was pointed out that there was an expensive professional version of the programme and a more economical one for home use. Many of the actions most useful to video users are included in both versions. Not to be left out Grandad Franc showed some example of films he had made using the programme, one of which showed how to remove grass and weeds from paving stones (or so it appeared). The demonstration created a lively discussion in the audience and everybody seemed to enjoy the evening. Thanks again to Elliot and thanks to Grandad Franc who no doubt inspired him with his own enthusiasm. On Wednesday the members of Mercury Movie Makers were treated to a varied programme of films from Derby Movie Makers. It is good to see other peoples film- work, to get new ideas and study techniques. The films included "The Lock-In" a drama which took place in a public house, involving some people who were not just what they seemed. At the end of the film the tables were turned. There was a film on loss of memory where the final scene caused much amusement. A popular event in the summer seems to be the 1940's weekend. This piece showed people dressed as sailors, airmen and Home guard. They were supported by army lorries and jeeps. The venue was Tutbury. A visit to Athens with a first class commentary was followed by a spoof crime film. Other offerings included some one going for a job interview, "Situation Vacant" and then a first class travel film of the Azores again with a splendid commentary. History was re-enacted as a house keeper told the story of how her mistress went on the ill fated Titanic voyage. "Firebirds" was a well edited film of the Farnborough Air Show. The final film was on familiar ground as a fictitious movie making committee discussed the making of a club film to show in a competition, it showed a lot of common mistakes and gave us quite a few laughs. Thanks are due to Bob Rudd for getting hold of this entertaining programme. Mercury Movie Makers showed some films from the "North vs South" compilation we have in our archive box. A film about the Kendal Mountain rescue organisation gave an insight into their work and a real live rescue was also shown. A film from Sutton Film Makers showed a dialogue from a chap with poor memory. The following film was by Tynemouth Video Club of an amusing club evening where an eavesdropper thought a "happily Married Couple" was subject to an act of infidelity. Just about to reveal to the cuckolded husband but suddenly realised that he had been eavesdropping a couple practising their lines for a future production. The following film was incomplete due to the quality of the DVD so had to be curtailed. After the interval we showed the "Talking Heads" film which was taken last year of people talking about their life. Maurice Wray, Peter Lumley and Peter Hewitt. This had been very well edited and compiled by Martin Sunderland.We completed the evening with some clips of some dramatic stunts taken from the internet. 9th January - Peter Lumley "How it was for me"
A relatively new member of Mercury Movies gave a one man film show on Wednesday.Peter Lumley excelled at swimming lessons at school but also had a desire to use a cine camera. So, after some years he joined a sub-aqua club and acquired a movie camera. Water and cameras do not mix so Peter obtained a waterproof housing for his camera. After years of diving and filming he started to make movies,however this was not an easy task. Working with the equipment of the 1960's and 1970's held a lot of challenges. For instance finding film that was fast enough for underwater filming,trying to edit and splice the lengths of film together was difficult. One had to buy a special machine to apply magnetic tape to the film and then had to record sound onto it. In today's climate we have video cameras which work in poor light and,record synchronised sound in stereo. Editing on a computer is much more secure and simpler as well. Peter pressed ahead and showed us some of his film ,now transferred to DVD.We were shown a diving expedition onto a shipwreck. We were also shown a diving drama based on a real life incident.Peter got authenticity into this film by getting the help of an RAF search and rescue helicopter, he got the Coast guard service involved,also the Royal National Lifeboat service as well as Police and Fire Brigade. For his efforts he was awarded Four stars in a National Film Competition,The Ten Best Films contest.He also got a similar award for another film. If you have a camcorder come along to Mercury Movie Makers at Rawdon and see how relatively easy it is to make good films these days. Be inspired by Peter Lumley's valiant effort with a medium that was difficult and remember today's equipment gives excellent results more quickly and lets you concentrate more on film making. On Wednesday January 2nd, Mercury Movie Makers met for their first 2013 club night. It was also their Annual General Meeting. Amongst the subjects discussed was their successful year during 2012 and a resolve to go into the future and make more films and keep up the quality of the weekly meetings. Our syllabus secretary was thanked for such an interesting programme, by no means an easy job. 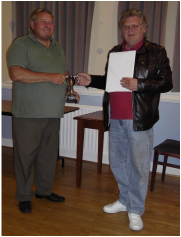 Most of the officers were re-elected for a further twelve months. The only exception was our secretary who needs to stand down for health reasons. Tribute was paid to one of our founder members who has just passed away,Mr Geoff Bolton. Thanks are due to him and the other founders for starting off such a popular club.